Sound is good. At first Have problem pairing 2 side. Send email to seller and get speedy reply and video for pairing. Now it's works perfectly. Thanks seller. Receive it fast. Seller grade delivery status. Pairing was like immediate.. Using it now.. so far very good.. distance between ear phones n paired unit quite far.. only quite sensitive touch on ear phones ( can get use to it ). Anyway thanks seller.. 2 thumbs UP..
Good audio quality. For its price it is worth buying. Only problem is that when the earbuds do not pair to each other, it is very difficult to get them to pair back together again. Looks good, but have not tested yet. Very good quality. Very satisfied. Item received in good condition although box a bit crumpled. Audio quality is good, comparable with more expensive brands. Delivery was fast considering Chinese New Year period. Overall very happy with purchase. My wife love it! Thank-you,seller. Received in good condition, had some problems pairing the two sides of headphones at first but settled after a few tries. Now they connect once I take them out of the box. Sound quality is not bad. Is it only for mp4 songs playing? Cant connect to hp to listen for watching movies/show? 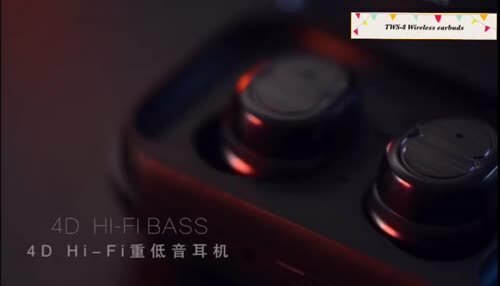 This is true wireless stero earbuds and its connected to any device with bluetooth feature (mobile,tablet, laptop etc). As such, you can listen to music, mp4, youtube, etc etc so long as with bluetooth connection. Hi seller.. I would like to ask is the Bluetooth compatible with note 8? Good afternoon to you and thank you for your enquiry. This is blueooth v5.0 and compatible to all devices with bluetooth functionality.